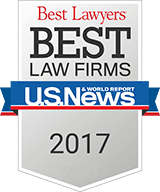 Pedestrian Car Accident Settlements | Law Offices of Louis Grandelli, P.C. us win those recoveries to work for every person we help. Car accidents where pedestrians are struck in the roadway are far more likely to result in catastrophic injury or death than many other types of car accidents. 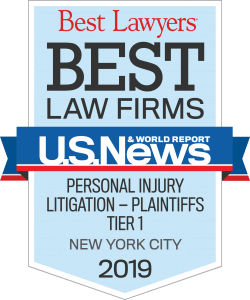 There are laws in place in New York State and New York City which require drivers to use reasonable care when operating their vehicles, since the negligent operation of a vehicle can be especially dangerous when pedestrians are present on the roadway. This is especially true for children, who sometimes walk or run into the street in pursuit of a friend, ball or pet. We have obtained numerous significant recoveries for pedestrians who have been seriously injured due to a negligent driver of a car including $2.25 Million, $1.4 Million and $975,000. Our firm has helped numerous other pedestrians, including children, that have been seriously injured after being struck by a car, and families of those who have had loved ones killed in pedestrian knock-down accidents. In these cases, we retain experienced investigators and experts to establish liability when it is required to assist us in proving your case. In recent years, many pedestrian car accidents have been caused due to a driver’s inattentiveness since the driver was talking on their cell phone or texting. Both New York State and New York City have strict laws prohibiting texting or talking on the cell phone while driving that are meant to protect other people in the roadway, including pedestrians. Pedestrian accidents also are commonly caused by drivers who use excessive speed, operate their vehicle through traffic control devices or simply failed to yield the right of way to pedestrians. Often times, an innocent pedestrian who is walking in a crosswalk with the right of way, is struck by a car. In the situations, under New York law, if the pedestrian can establish that he or she was walking in the crosswalk with the pedestrian light in their favor, summary judgment may be obtained on the issue of liability in the lawsuit. 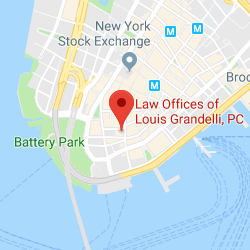 If your lawyer is able to establish a negligent driver’s liability in this manner, New York law provides that the innocent pedestrian is entitled to 9% statutory interest on any future verdict from the date that the Court Order granting summary judgment is entered with the Clerk of the Court. With pedestrian car accident settlements, it is also important to know that the injured pedestrian may be entitled to file a claim for No-Fault insurance benefits through the insurance carrier for the offending vehicle to have their medical expenses paid, lost wages reimbursed and for the costs of household care. However, the No-Fault insurance regulations in New York State are very strict and usually require that an application be submitted to the motor vehicle insurance carrier within 30 days. If an injured pedestrian fails to show good cause why they have not submitted the application in a timely manner, the claimant’s insurance benefits may be jeopardized. 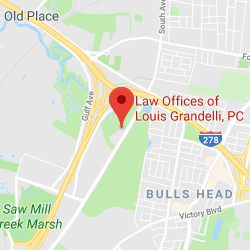 At the Law Offices of Louis Grandelli, P.C., we have extensive experience handling pedestrian car accident settlements. If you or a loved one have been struck by a vehicle, please contact us to discuss your case.